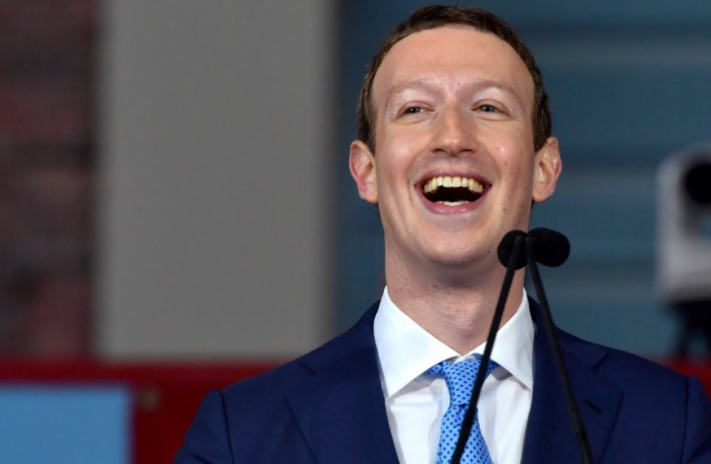 Over the last few months, Facebook has been accused of inappropriately giving away the personal data of its users. The means through which this data was given away had been convoluted and clandestine — a shadowy researcher had created an app, accessed the data of 87 million users, and had then gone rogue, selling the data to Cambridge Analytica, which had then built algorithms on it to target users who were then shown specific ads during the US Presidential election. There had been much consternation over how it was possible to build profiles of users based simply off the pages they’d liked, but the technical wizardry of Cambridge Analytica had made it possible. But Facebook has now released a feature that might be a lot more alarming, given what’s been going on. 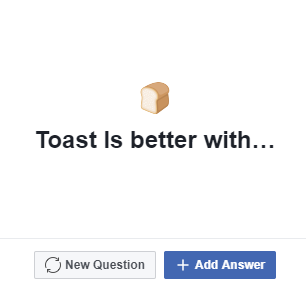 Facebook’s has been testing a “Did You Know” feature, through which it prompts users to answer simple questions about themselves. 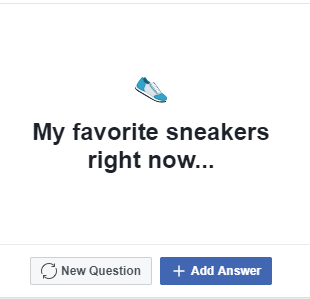 The questions look innocuous by themselves, asking users things like what their favourite sneakers are, and whether the like to wear a watch. Users can type in the answers to these questions, and their answers are displayed on their timelines in front of a snazzy background. 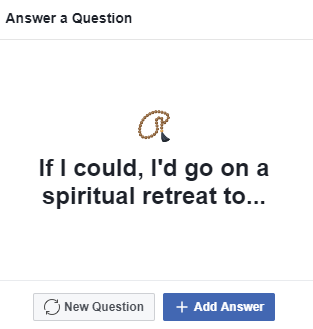 It seems like a harmless enough feature, which seems to fit in nicely with Facebook’s stated goal of connecting people. But given all that’s happened with Facebook over the last few months, it’s hard not to see how this is the most brazen data collection attempt from a major corporation in recent memory. Facebook prompts users to answer these questions, and allows them to share their answers with the people they’d like — their Facebook friends, a specific group of friends, or even everyone. 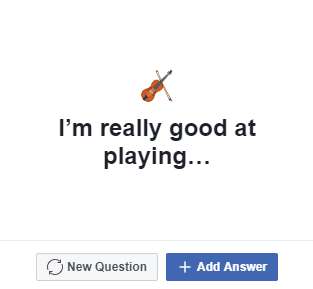 But while these answers are displayed to only the specified set of people, they’re still available for Facebook to use to send targeted advertisements. This questions might seem harmless, but would be invaluable for advertisers who’d want to sell shoes through Facebook. This question, for instance, could be very helpful for shoe companies looking for potential customers on Facebook. This question could be handy for advertisers selling jams and spreads. While this one could help advertisers target people who might be in the market to buy musical instruments. And with questions like these, Facebook can better understand what sort of content to show to its users on its timeline. But while these questions seem like a particularly bold attempt to collect user data, they can have some serious consequences as well. 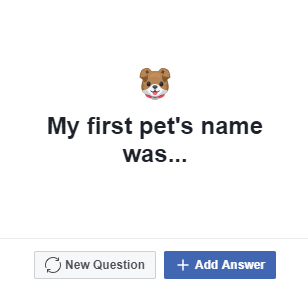 One of the questions, for instance, asks users to share what the name of their first pet was. This, of course, is a common question on websites that’s asked when users forget their passwords; asking people to share this information publicly could lead to users’ accounts, even other than Facebook, being compromised. The questions are virtually infinite in number, and are all selected by Facebook — the company doesn’t allow users to set their own questions. And it’s debatable if these questions can bring people together — there’s only so much people can bond over having their first pets with the same first name — they certainly provide Facebook with a rich data set on its users in order to show them better advertisements. Facebook and Google had long relied on complex algorithms to determine users’ interests — Google, for instance, goes through your entire browsing history to determine, for instance, if you’re interested in music. Facebook is attempting to know this by simply asking its billion-strong user-base. And if the early traction of this feature is any indication, it appears to be succeeding.